Dubset offers an innovative music marketplace for DJs, artists, labels, publishers, and distributors. Through cutting edge technology, a rights management database, and easy to use dashboards, Dubset is creating new mix & remix distribution and monetization opportunities built on transparency, ownership control, and simplicity. The traditional way of distributing music used to be simple. Artists created records, their labels and managers handled the distribution. Today, online streaming and social media platforms have opened the doors for music creation like never before. 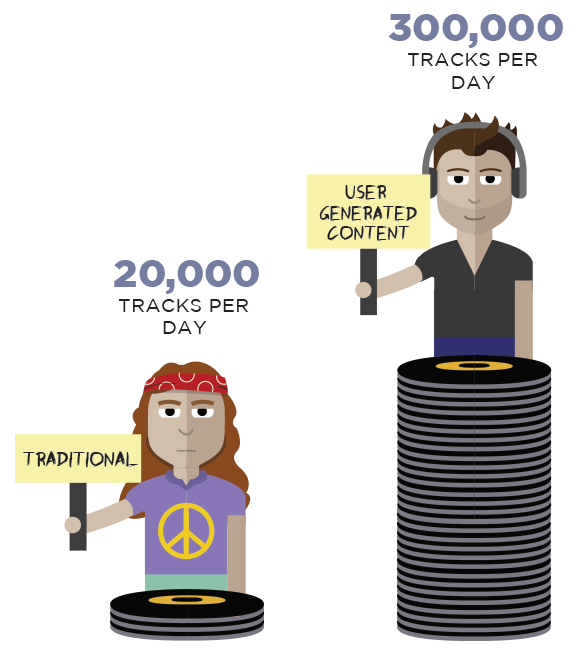 Hundreds of hours of mixes & remixes are uploaded every minute, but over 90% of that User Generated Content (UGC) cannot get to legal music services. Mixes & remixes are more popular than ever. Identification: Who owns the original content? Multiplicity of rights holders: How can all the content owners control usage and distribution of their content in advance? Access & territories: How do you handle rights-by-territory? These issues are leaving millions of dollars in potential royalties on the table for labels, publishers, and music services. Dubset offers DJs, rights holders, and music services a way to deliver mixes & remixes to end-users worldwide. Dubset’s technology makes it simple for DJs to license and distribute their mixes & remixes. With our proprietary platform, DJs are given full transparency and comprehensive analytics. Dubset offers a new derivative content marketplace & exchange for DJ mixes & remixes. Our platform provides rights holders with new royalties, content control, full transparency, and unique usage reports. Dubset's technology enables music services to distribute newly licensed DJ mixes & remixes directly to consumers. We’re creating modern business models that diversify your catalog, expand audiences, and increase revenue projections.